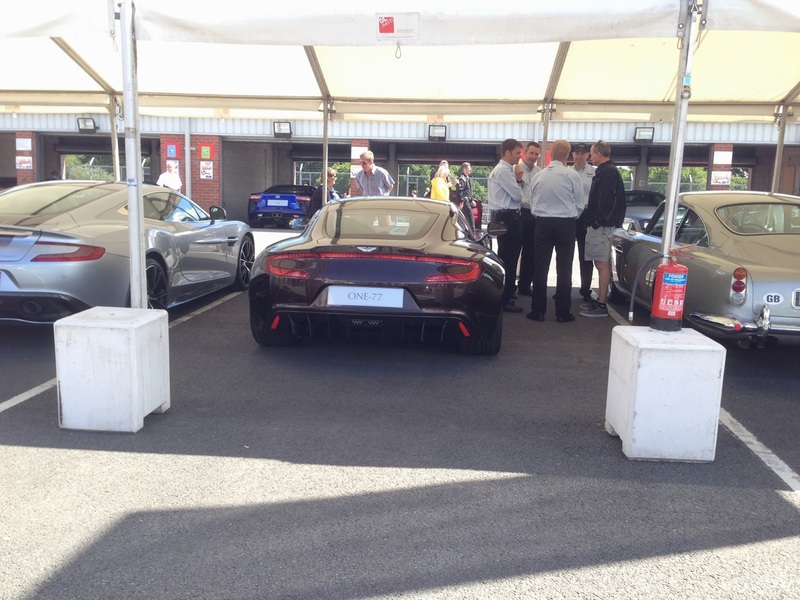 Over the summer break, I was lucky enough to be able to attend Car Fest North 2013, due to my genuine interest in Aston Martin, I got a large amount of pictures from when I saw the Aston showcase. 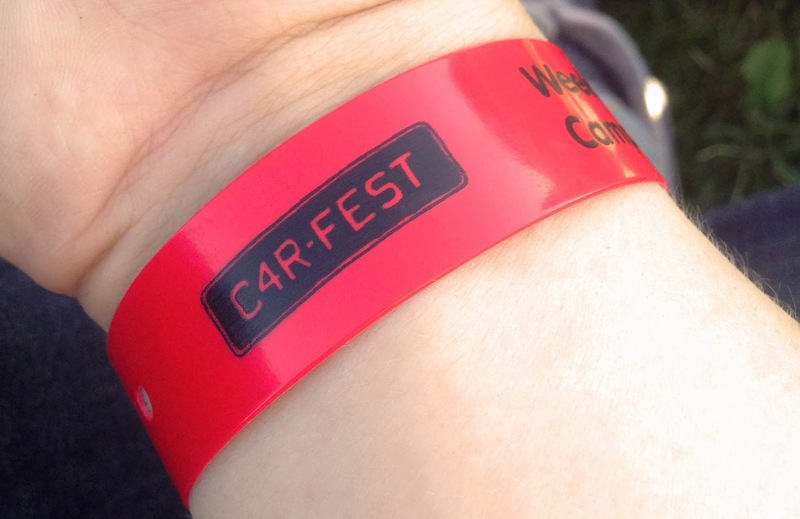 I grabbed this image the day before we were allowed in the pit lane, separated by a barrier. 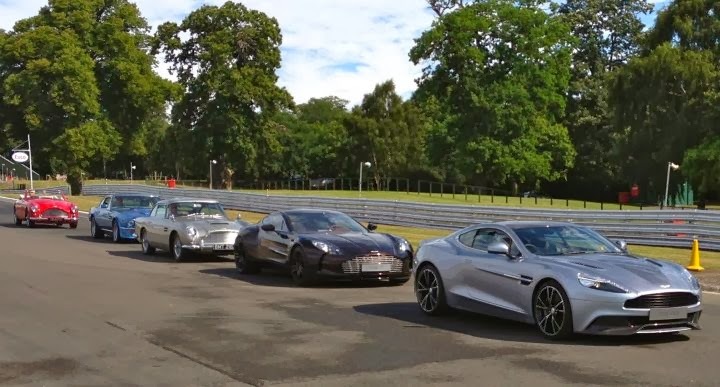 From left to right, we have the Aston Martin 2013 Vanquish, with the special centenary livery, the one of seventy-seven, Aston Martin One 77, 2010, Aston's million pound car, and on the right, the internationally recognised Aston Martin DB5, 1954, this exact car was used in the production of Skyfall (2012). 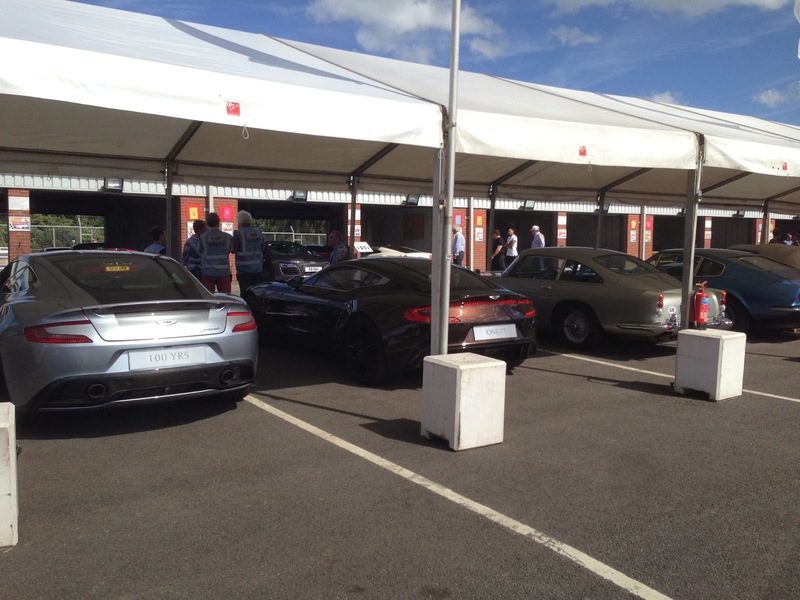 Some crowd shuffling later, and I was able to get a better shot, to the right of the DB5 you can see the DB4, the predecessor to the DB5. 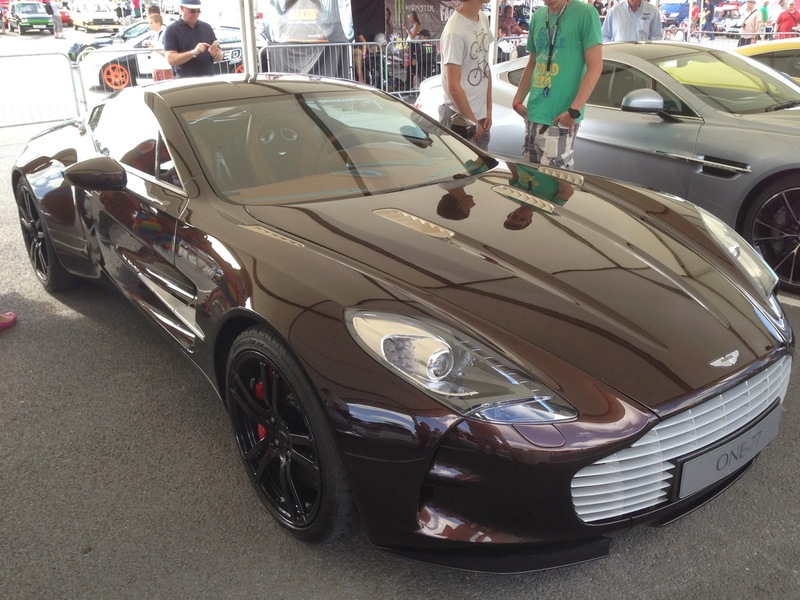 As close up of Aston's One 77. 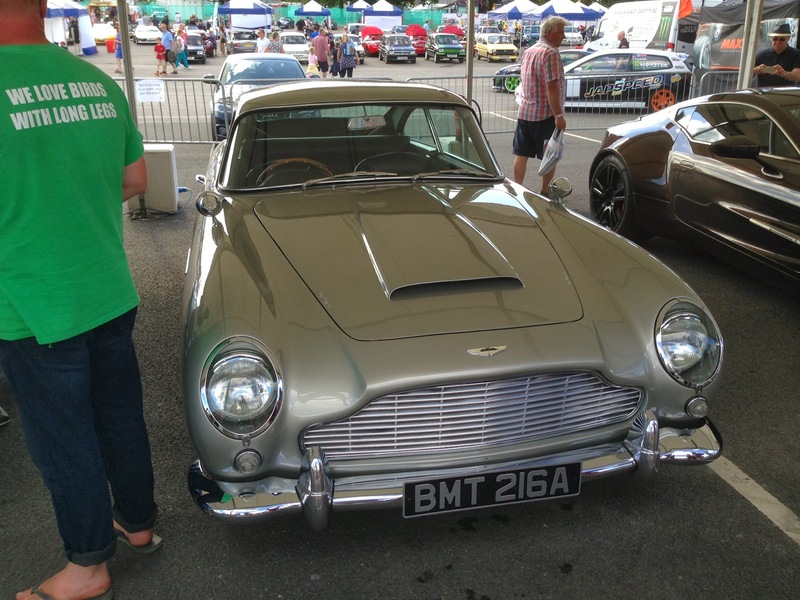 A close up of the DB5 used in Goldfinger and Skyfall. 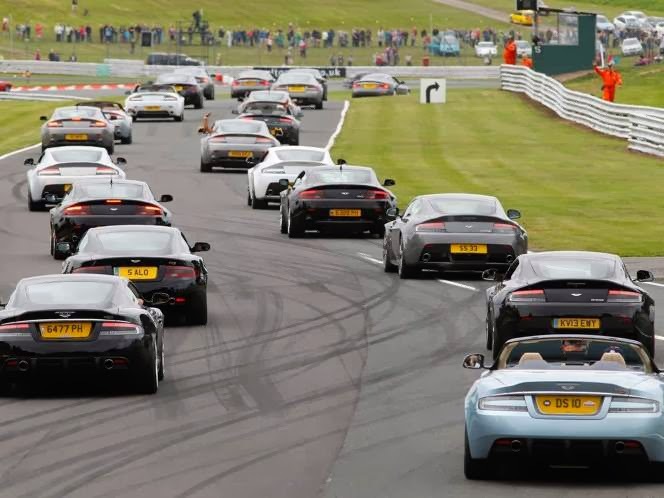 On the final day of the festival, Aston had their Centenary Parade, where around 50+ cars, at least one of each model of Aston circled Outlon Park's circuit, majestically for half an hour. It was truly a sight, 100 years of gorgeous engineering. Unfortunately, my phone and DSLR had indeed died by this point, so I googled these images from the event.